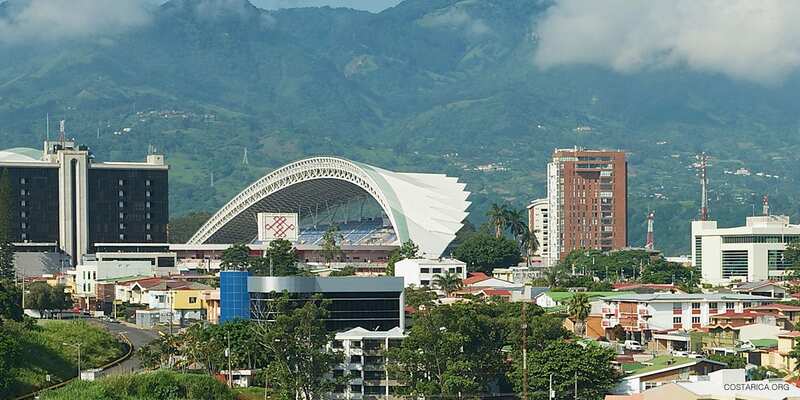 The stadium opened to the public on March 26, 2011 and is the home of Costa Rica’s national football team now. It was a gift from the People’s Republic of China to the Republic of Costa Rica. Given as a “thank you” to Costa Rica for breaking allegiance with Taiwan to ally with China. In fact, China did not have many allies in Central America. So when Costa Rica chose to hold out a hand in friendship, China pulled out all of the stops for their new partner. They offered to gift them a brand new stadium! The Chinese government financed the construction of the stadium, which began in March 2009 and was completed in 2011. Costa Rica National Stadium – Over 35,000 seats! The stadium has 35,175 seats on four levels and hosts an impressive VIP section. It has one 1,700 square foot high-definition screen in the south of the stadium. Additionally, there is a smaller regular screen, and another display in the north section. The construction cost was $100 million, paid by the Anhui Foreign Economic Construction, who imported 800 Chinese workers to complete the job. The first match held in the stadium was a friendly game played against China. It was followed two days later by a huge battle with Costa Rica against Argentina. The inaugural week closed by a sold-out concert with Colombian star Shakira. Since then the stadium has hosted sporting events and has attracted major international talents for concerts such as Sir Paul McCartney and Elton John, and Guns n Roses. This is a great place to visit if you’re looking for some action. You can also check some of the Costa Rican Culture.